Lou and I were immediately drawn towards video as our storytelling medium when we began our creative journey in 2014. However, upon arriving back from Peru, our first trip as filmmakers, we realized that we had barely taken any photographs from the entire three months. It's not that we didn't want to take any photos. It's just that we had been so focused on learning how to capture the world around us on video that we weren't capable of learning how to capture it photographically as well--because, even though we use the same camera for photo and video work, each medium requires a totally distinctive approach. It wasn't until a few years later, after we had become more confident filmmakers, that the space opened up in our minds to pursue photography as well. We are are so excited to cultivate this new passion and explore the many different styles - not to mention how much lucky we feel that photography has allowed us to connect with so many of you! For us film photography is a way to connect to the present moment while embracing the unknown. The physical and mechanical nature of analogue cameras allows us to explore our creative expression in a unique manner, detached from the speed of digital photography and the immense post production work required to bring digital photos to life. We shoot film to slow down, and relearn the basics. *We shoot with a Canon A-1 at the moment. For us landscape photography can be the motivation for a 4 am wake up to catch sunrise or a way to inspire others to take care of our planet (by way of a plant based diet). 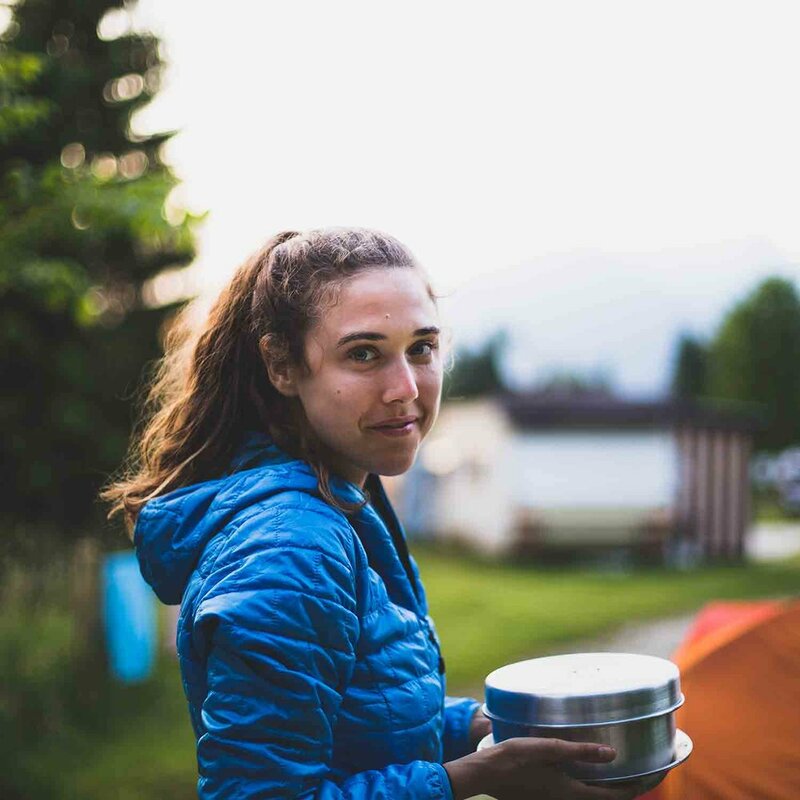 This style ties in perfectly with our newfound passion for hiking, and it’s definitely one of the things we are most excited about when it comes to van life! For us portrait photography is a way to connect deeper to the human experience. Capturing the essence of someone in a single frame is a really difficult task, but when it happens it makes for the most powerful of images. Portrait photography also presents a social and technical challenge quite unlike other genres, and it’s that challenge which draws us so strongly towards this genre.